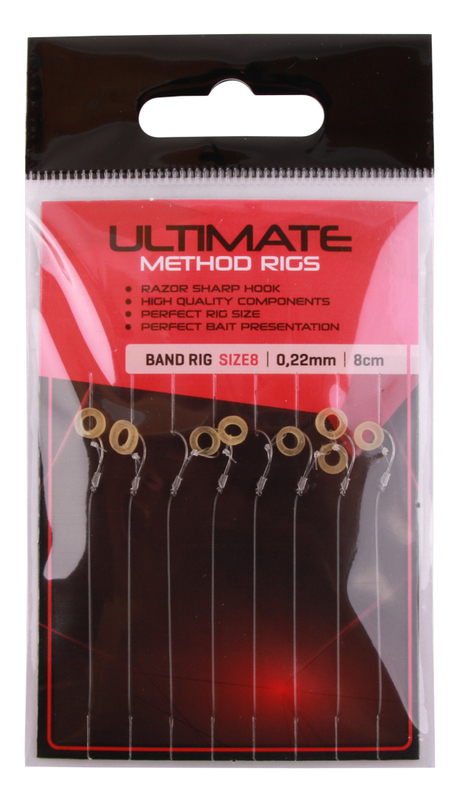 The Ultimate Method Hair Rigs were specifically designed for method feeder fishing for large coarse fish and small carp. 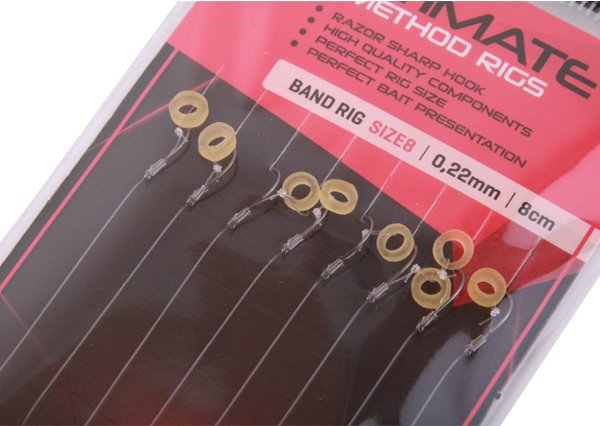 The rig is suitable for both soft and hard types of bait that can be attached with a bait band. 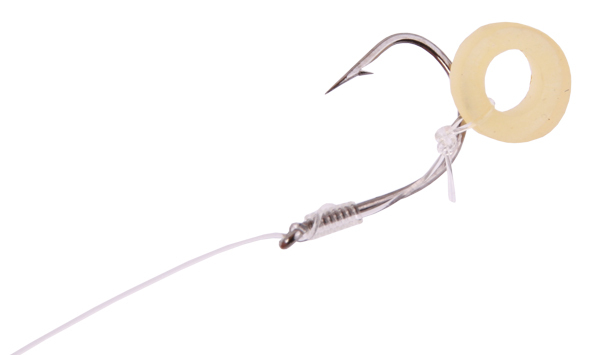 The Hair Rigs are tied with strong nylon line and feature and ultra sharp hook.